There is great peace in being immersed in a cool, quiet forest where the only sounds you can hear are the birds singing and wind blowing through the leaves. With the picturesque scenes of nature as far as the eye can see, how can one not be filled with a sense of tranquility? Especially when those scenes include breathtaking views of California's towering Redwood trees, we can't think of anyone who would turn down the adventure. 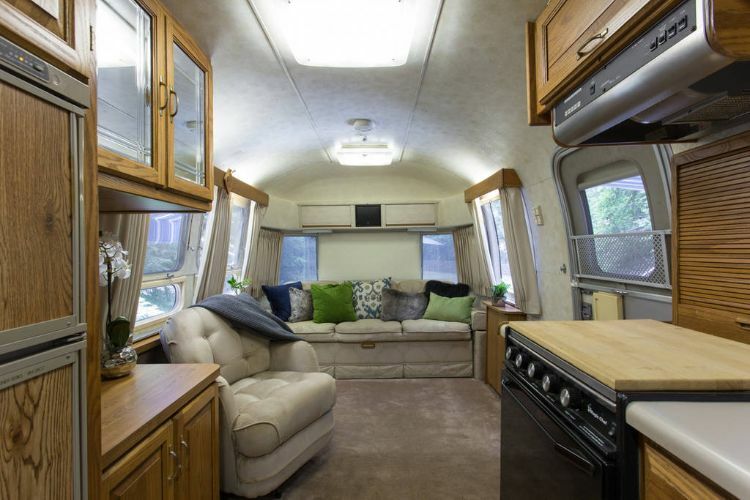 This classic 1989 Airstream will give you that perfect sense of being one with nature. 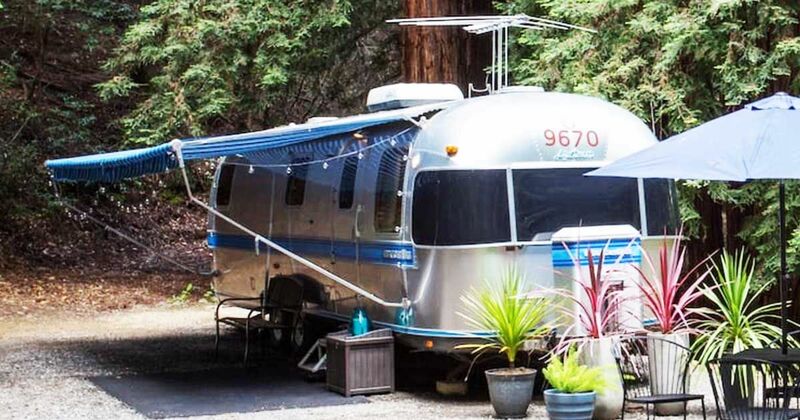 Located in Scotts Valley, California, this Airstream sits on a huge 20-acre (8.1-hectare) plot of land, complete with endless Redwoods and abundant hiking trails. This property is amazing if you are looking for some time to unwind, forget about your daily schedule, and simply enjoy yourself in the Santa Cruz Mountains. Take a look inside and rest assured that this will be an Airbnb experience you won't forget. 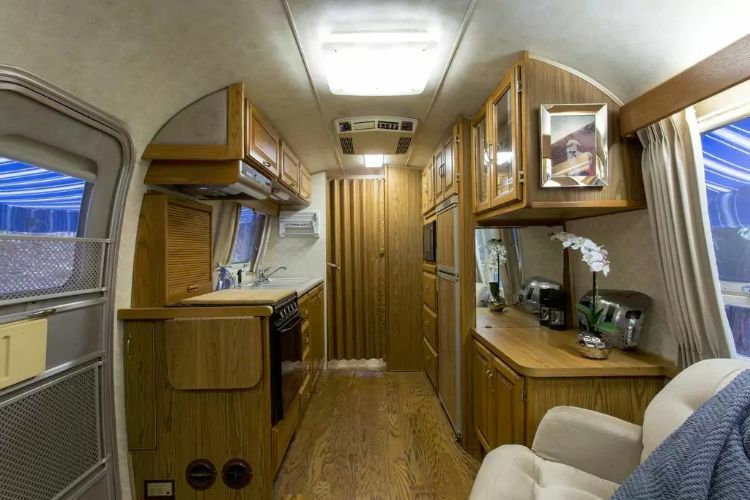 The interior of this Airstream has been incredibly maintained. 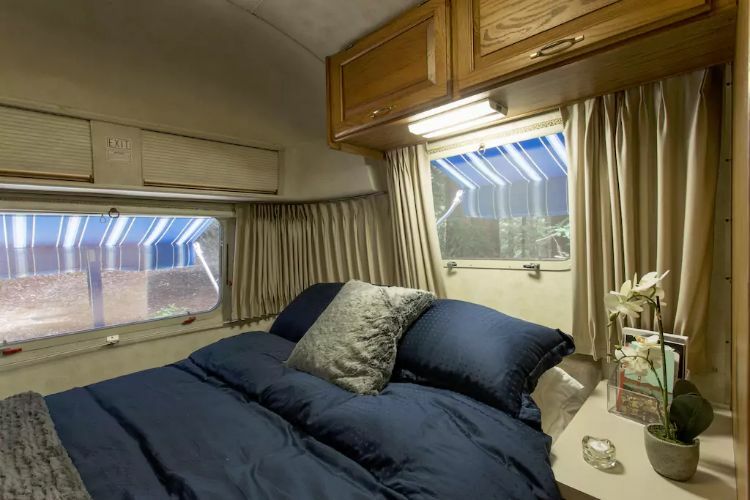 While many of us might think of 1980s interior design as being bright, colorful, and often times over-the-top, this Airstream allows us to see a softer and more cozy side of 1989. We love the original wood finishing all throughout this kitchen. The natural surfaces go perfectly with the Airstream's woodland location. 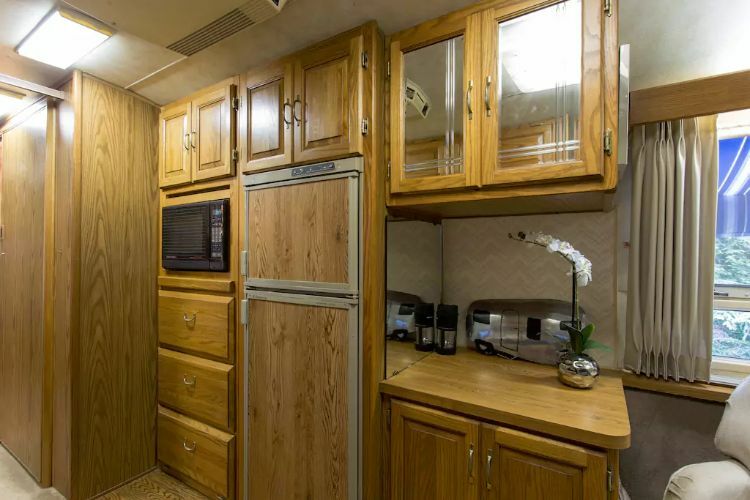 Check out all of this storage space! Don't be shy about bringing groceries home because you definitely have the room for it. 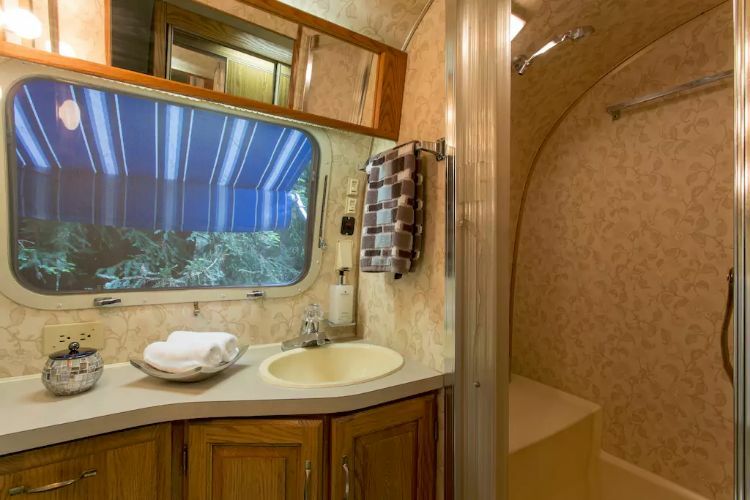 Every window in this Airstream has a lovely view of the surrounding forest, even the one in this spacious restroom. After a long day of exploring and hiking through the trees, this plush bed will be your best friend. If you love this Airstream as much as we do, don't forget to share it with your friends on Facebook and Pinterest!